Soldier 360 is a project out of the DCoE, the Defense Center of Excellence. It is a great program to teach soldier-leaders about resources available to them, their families, and their soldiers. In my opinion, it helps to fulfill the Army Pain Management Task Force's goals of "focus on the warrior and family-sustaining the force" and "synchronize a culture of pain awareness, education, and proactive intervention". Check out this recent article about the Soldier 360 program, published in army.mil and written by SSG Bryan Dominique in June 2013, "A 360 approach to leader development at JBLM". ﻿﻿﻿﻿﻿﻿Over the past year I have been privileged to be a guest speaker for the local Soldier 360 classes offered nearby. It has been wonderful to work with the soldiers, all NCOs (that's soldier-leaders for you non-Army folks), and the instructors. Soldier 360 is a leader's course that focuses on building resilience while teaching comprehensive soldier fitness It gives soldiers tools and resources for mind-body-spirit fitness for themselves and their soldiers. The classes have a variety of topics that include (as a short list): biofeedback, relationship-building, mindfulness, learning the new PRT (physical readiness training) variations, stress management, substance abuse red flags and resources, and chaplain resources. It brings order to the various support groups and resources available at most installations to help soldiers deal with issues and build resilience that includes Army Medicine, ASAP, MFLC, the Wellness Center, ACS (Army Community Services), and Chaplain services. The course is based on the adult-learning model, so the focus on any class is learn-by-doing or active engagement in the course topic (lots of question and answer sessions). As a guest speaker, I give a talk on Traditional Chinese Medicine (acupuncture) and non-drug pain management options. I am grateful to my volunteers, particularly Jessica Martens, EAMP, of Sound Acupuncture and Daniel Cashman, EAMP, of Seattle Asian Medicine and Martial Arts who help me give demonstrations to the class on Traditional Chinese Medicine. 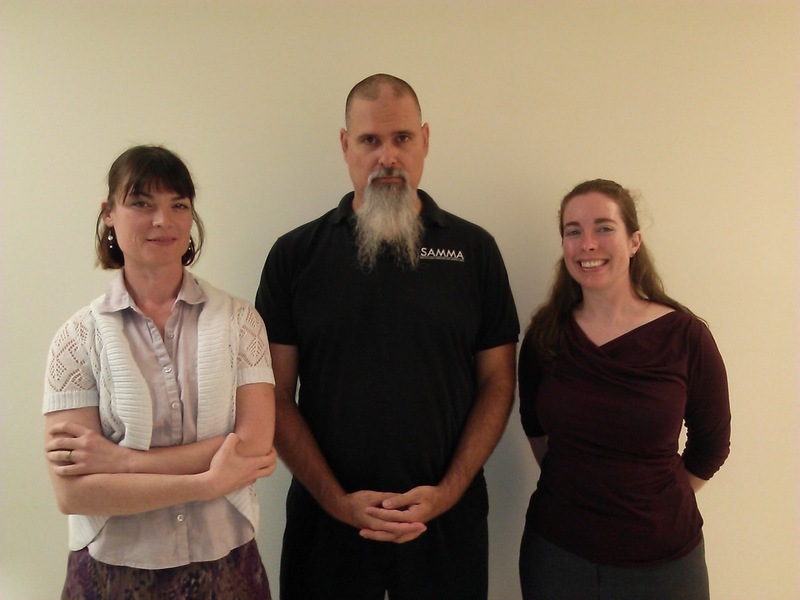 Jessica and Daniel help me with auricular acupuncture demonstrations, Tai Chi demonstrations, and help field the many questions. I encourage any NCO to make time to attend the course when it comes to your installation, or encourage the NCOs who work for or with you to attend. Check out the links to the articles below or the Soldier 360 facebook page for more details. Soldier 360 program helps JBLM soldiers adjust to post-deployment life, published in the JBLM-Patch, February 2013. Soldier 360 provides resiliency training to soldiers, spouses in Europe, published on army.mil, April 2011. For more on the Army Pain Management Task Force, see the related blogpost.